Forget What Did: Because that hack they got to do the 'Romeo + Juliet' one was terrible. Because that hack they got to do the 'Romeo + Juliet' one was terrible. How exciting! They've released an official film tie-in book of that great Baz Lurhmann film! Shame they couldn't get Lurhmann himself to write it, though. I hope this Fitzgerald guy can pull off his style. 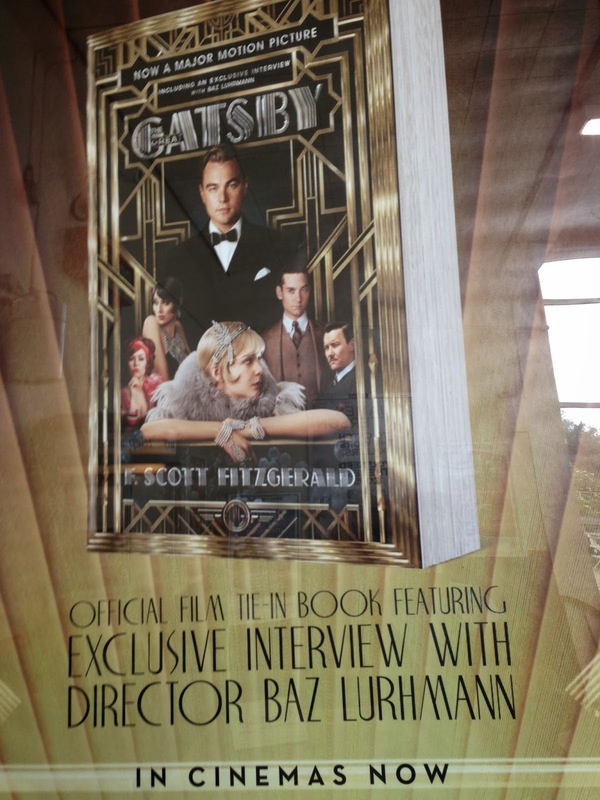 Well, since it's got an exclusive interview with Baz Luhrmann I might just be tempted to give the book a go! Not that it's likely to be a patch on the film of course, but that's just how these things go. "NOW a major motion picture"
It's like the great fairy tales by Walt Disney. You have to see the original. The adaptation of those German brothers is quite grim. Much like the book accompaniment to Tim Burton's Alice in Wonderland, but there was another one on the shelf next to it that was a total ripoff, by some Lewis Carroll guy or something. He didn't even bother changing the title, and it didn't have the swordfight with a Jabberwocky in, obviously some low-budget trash. At least Hollywood didn't mess with the original text. If I remember correctly, Emma Thompson said on the Sense and Sensibility commentary that the Hollywood studio muckitups wanted to market a new novel based on the film instead of reprinting the original one to tie in with the film. Thompson flat out refused to have any part of it, for which I am very grateful. I should reread Gatsby, though I think I'll forego spending ten dollars to read Luhrmann's interview and stop by the used book shop instead. Hello sir! Love CP and JFSP. Have you a contact email address for fanmail and comments not relating to your posts? yea, and you gonna write a biography? defo gonna buy that if you do. The Baz Luhrmann film is, believe it or not, more faithful to the book than the Redford version. Buy this tie-in, I implore you, or better yet, the original. F. Scott Fitzgerald is the master. I'm more looking forward to Joss Whedon's A Midsummer Night's Dream. But if Serenity isn't in it, I'm going to write hate mail to FOX. Again. Ho Ho… No, No, God No! I'm Sorry I Only Connect.